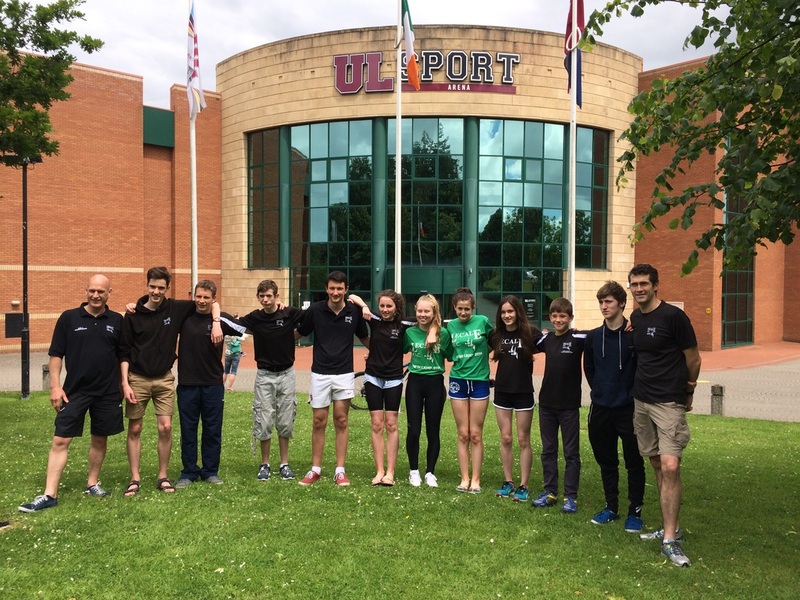 The Lecale team with coaches, Mark Millar and Jonathan Hamilton-Cooper outside the UL Arena. 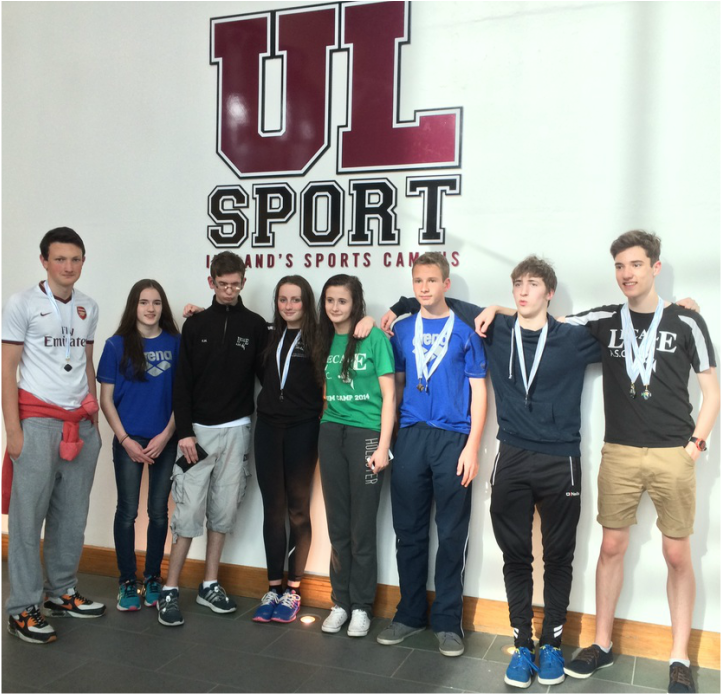 Nine Lecale swimmers represented the club at the IAG Div 2 Championships in Limerick last weekend. Conor Mahoney, Daniel Molloy, Jamie Hamilton, Aaron Cooper, Adam Colgan, Amy Godfrey, Isla Millar, Laura Molloy and Chloe Galloway competed against hundreds of top class swimmers from all over Ireland in twenty-one individual events and four relay events. All achieved fantastic PBs and relay team splits showed very fast individual legs and slick takeovers. Our youngest competitor, Adam Colgan, competed in the 100m and 200m backstroke, joining only three other ten year olds who had achieved the U11 Div 2 standard. Under close scrutiny from stroke and turn judges Adam swam flawlessly and gained excellent PBs in both his events. Adam has also been selected by Swim Ulster to train with the Ulster Performance Squad in Magherafelt next season. Chloe Galloway secured the title of IAG Div 2 Champion in 13-14yo 100m freestyle with a smashing Div 1 time of 1:05.05. Chloe also finished a very close 4th in 400 freestyle and 100m backstroke. Daniel Molloy won silver in the 16-18yo 100m backstroke in 1:10.31, just 0.01S outside the Div 1 standard. A young O15 girls relay team swam great legs to finish 7th in the 4 x 50m medley relay. 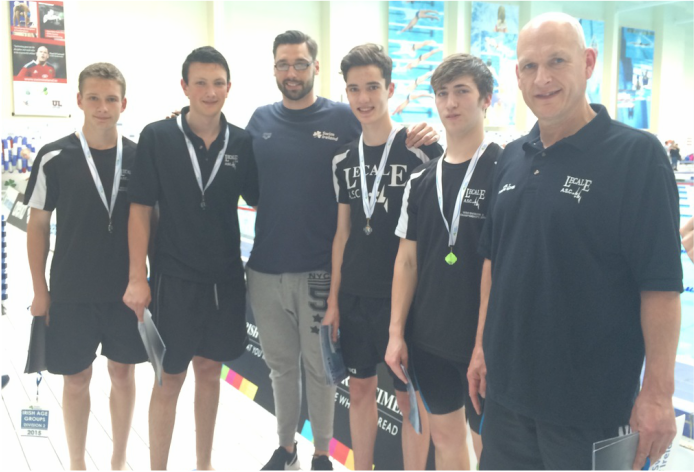 The boys O16 team were strong and secured silver medals in both 4 x 50m medley and freestyle relays. The end of a great weekend!